In small bowl, mix salsa, jerk seasoning, lime juice and honey. Top each Lime Tortilla Chip with about 1/2 teaspoon black bean dip, 1 teaspoon salsa mixture, 2 or 3 raisins and 1/2 teaspoon sour cream. Garnish with cilantro leaf. Serve immediately. Add wonderful Island flavors to your meal. 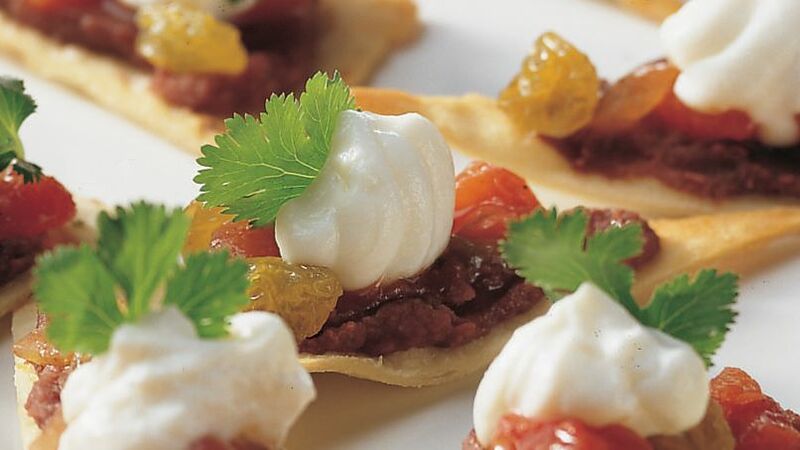 Tortilla chips topped with black bean dip, salsa mixture and sour cream gives you delicious appetizers.